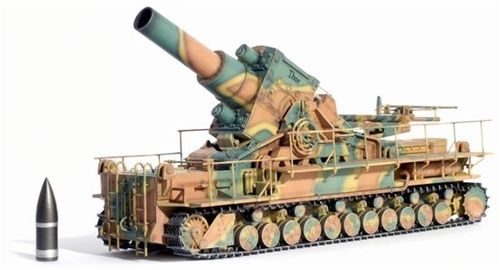 In June 1937, the Waffenamt ordered a self-propelled version of the 60cm siege mortar to be built. General Karl Becker of the Artillery was heavily involved in its development, hence the sobriquet "Karl" used to describe it. The driving trials were held at Unterlass in May 1940, and delivery of six production vehicles occurred between November 1940 and August 1941.